Mouth breathing is one of the most common causes of snoring. If you snore and frequently wake up with a dry mouth and sore throat, it’s likely that mouth breathing was the cause. Plenty of snorers have weak jaw muscles or excess weight on their chins that pulls the mouth open whilst they sleep. This causes a troublesome switch to mouth breathing. Studies have shown that your airway is narrower and more elongated when you breathe through your mouth, making vibrations more likely. The airway is narrowed. An open mouth causes your throat to compress as your tongue falls further back into your airway and the open space behind your tongue and soft palate is reduced. The airway dries out. This is because mouth breathing doesn’t humidify incoming air like nasal breathing does. You are more susceptible to breathing in harmful things. Unlike nasal breathing, mouth breathing doesn’t trap allergens and bugs which can in turn worsen your snoring. In addition to snoring, mouth breathing brings other problems that impact upon sleep quality, your breath, oral health, respiratory health and even face shape . Whilst mouth breathing is a primary cause for snoring, nasal breathing not only lowers your snoring risk, but has other benefits too. Nasal breathing warms and humidifies incoming air, helping to prevent your airways drying out. It also channels air over your snoring noise-makers in a far less turbulent way than mouth breathing does. By treating the air, your nose prevents the frequent awakenings you may experience from having a dry mouth. The mucus and many folds within your nasal cavities do a great job of trapping potentially harmful invaders such as allergens and viruses/bacteria. These, in addition to making you feel terrible, can worsen your snoring. Nasal breathing reduces the chance of hyperventilation – over-breathing with frequent, shallow breaths. Proper ventilation leads to optimum oxygen/carbon dioxide balance, allowing for improved blood oxygen saturation . 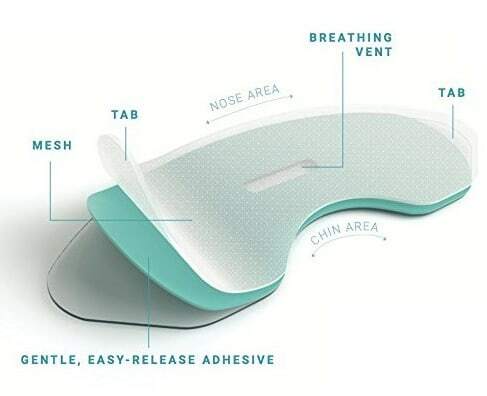 This innovative snoring solution uses a gentle adhesive to hold your lips together whilst you sleep. SomniFix strips are hypoallergenic, can be painlessly removed without leaving a sticky residue, and have a small mesh vent to allow limited mouth breathing if necessary. This inexpensive, simple yet sophisticated product has shown to have massive benefits for mouth breathing snorers. Shields fit behind your lips but in front of your teeth to prevent mouth breathing. 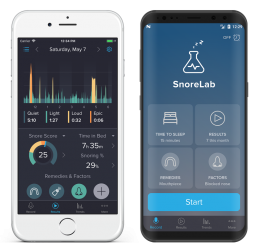 Products such as the SnoreLab recommended Somnipax Shield can also be custom molded and have small holes to allow a little mouth breathing if necessary. 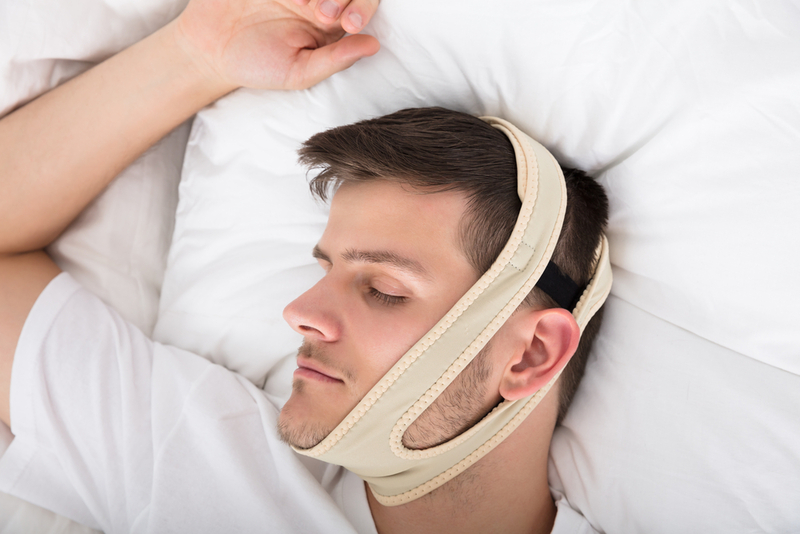 Chin straps are another effective, if a little cumbersome, way to keep your mouth closed at night. They are usually worn under your chin and around the top of your head. Mouthpieces can be particularly effective if your snoring is has multiple causes. If mouth breathing plays a role but isn’t the sole cause, mouthpieces not only promote healthier nasal breathing but also bring jaw forward to tighten the slack airway tissue responsible for snoring. 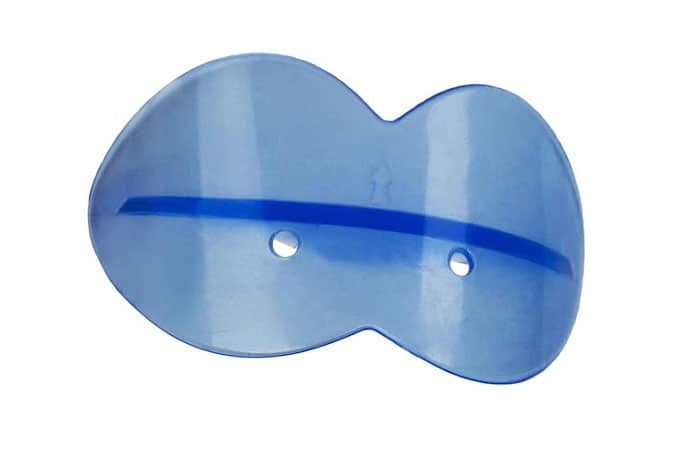 Similar to other anti-snoring mouthpieces, tongue retainers effectively block the mouth breathing route. In addition to this, they also work by holding your tongue forward to prevent it blocking your airway. We recommend the Good Morning Snore Solution for open mouth snorers whose tongues block their airway. Being dehydrated and having a dried airway contributes to thickened mucus which makes the walls of your airway more likely to stick together and make noise. Whilst we don’t recommend drinking loads before bed, make sure you drink plenty throughout the day and avoid salty foods before bed. When you are forced into mouth breathing by a blocked nose, humidifiers can provide relief and reduce snoring. They do the job of your nose by adding moisture to the air you breathe. Be sure to have a look at our guide to humidifiers and check out our recommended product. If you are mouth breathing and snoring because your nose is blocked, have a look at our insights into nasal congestion and snoring. There are multiple causes of a blocked nose and many different ways to treat it. Chang HR. Nitric Oxide, the Mighty Molecule: Its benefits for Your Health and Wellbeing. The Mind Society, Jacksonville FL 2011.